A paradise for model making fans can be found again at the Dortmund Exhibition Centre from 4 to 7 April 2019. 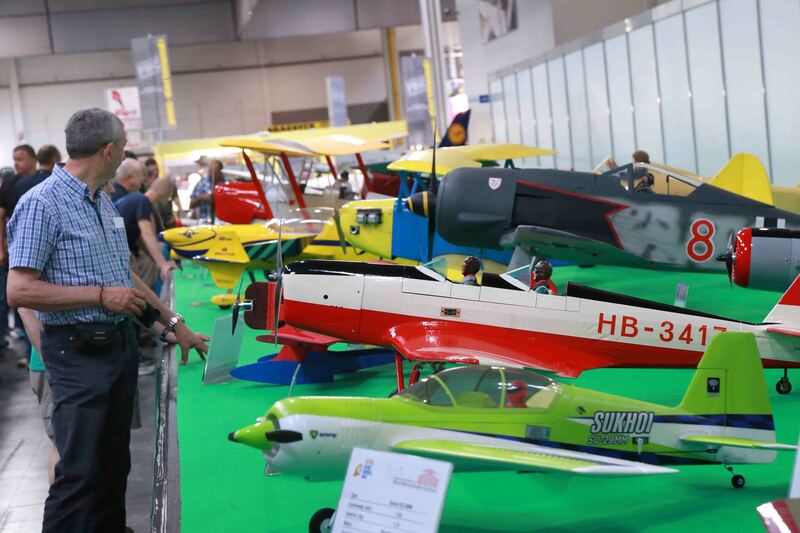 The worldwide largest exhibition for model making and model sport will show many new products and current trends in the aircraft model making and model sport segments again this year. Special highlights will be large-scale models and air shows. 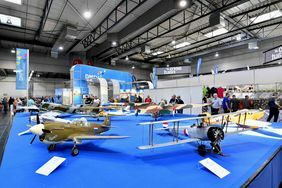 A special exhibition area will show impressive, large-scale aircraft models. Guests showing their models include ‘Fantasy in Blue‘, a Dutch foundation that has set itself the objective of making models of all aircraft of the Dutch Air Force and the KLM airline. 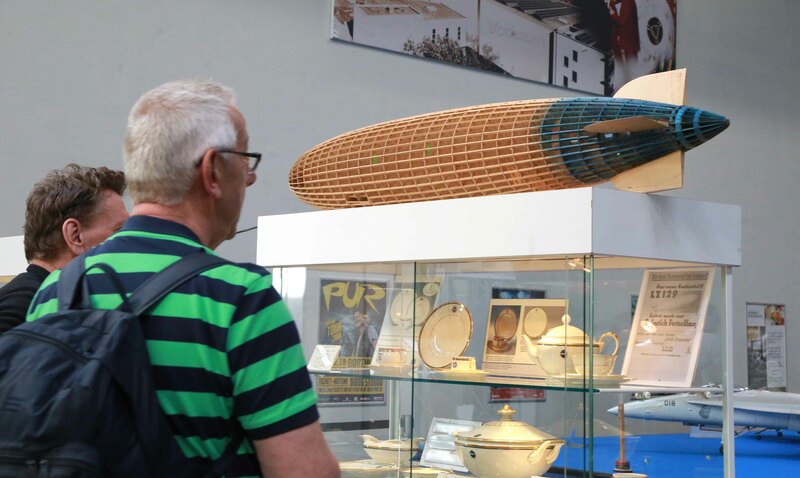 A further highlight at INTERMODELLBAU 2019 will be an exhibition with real Zeppelin accessories. Deutsche Modellflieger Verband e.V. 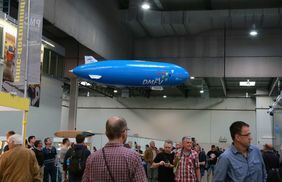 (DMFV), the German aeromodelling association and supporting organisation of the exhibition, will also be out and about in the halls with a flying Zeppelin. Markus Zolitsch, multiple German indoor aerobatics champion, will show precise indoor flying with his current competition model and synchronous flying with Derk van der Vecht, multiple Dutch Champion. Derk van der Vecht will fly not only his AeroMusical but also a six-engine Antonov AN-225 and show a synchronous aerobatic flight with his uncle, Bert van der Vecht. 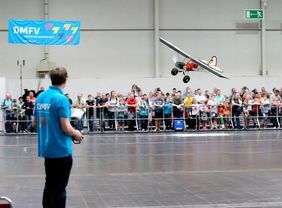 The youngest air show pilot in Germany, Martin Münster, will participate again this year and show top-class freestyle aerobatics in the afternoon and on Saturday and Sunday. Under the leadership of Heiner Jünkering, the team consisting of Miles Dunkel, Mathias Hof, Sven Drießen, Peter Holtackers and Robin Adamchak will show everything that model helicopter flying distinguishes, from accurately scaled helicopter models to breathtaking aerobatics choreographed to music. 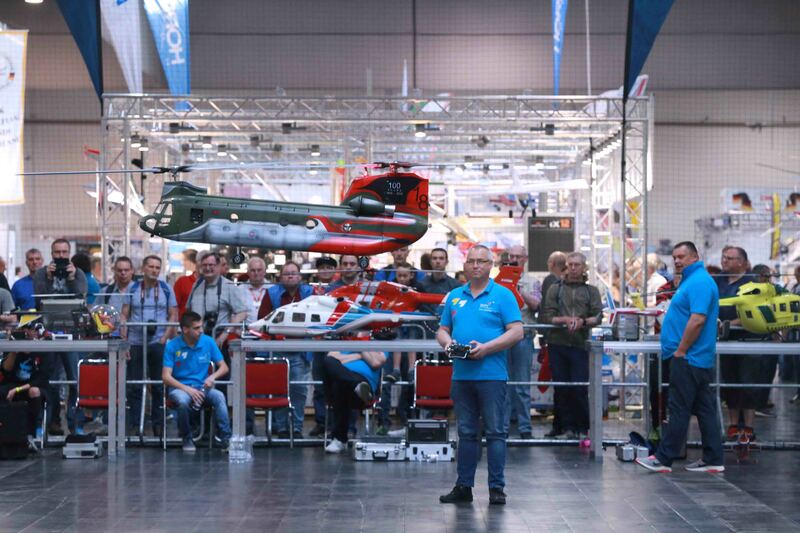 Exhibition visitors interested in helicopters will also get an explanation of the mode of operation of a model helicopter. 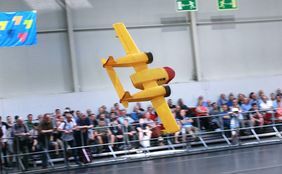 Daniel Hör and Chris Tittel will astonish the audience with the extreme manoeuvres of their two huge Fairchild A-10 aeroplanes. One of them will also fly an ultra-light airliner, a stretch version of a Boeing B787. Chris Tittel will also fly a Star Wars Podracer and Molly, the flying locomotive. 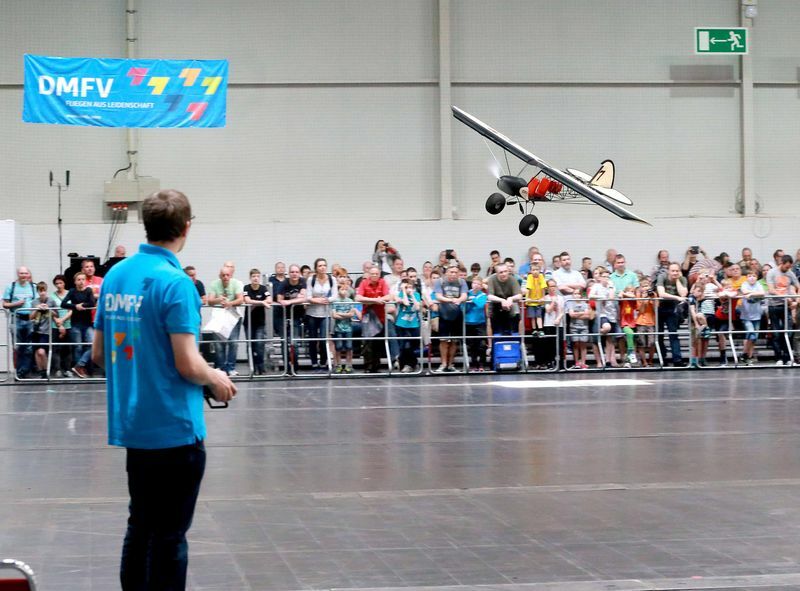 Frieder Bodem and Johannes Althoff, two young pilots, will show their skills with two Challenger biplanes (only on Saturday and Sunday). Worthy of mention: Markus Zolitsch and Martin Munster will fly for Germany at the FAI World Championship F3P (Indoor aerobatics) in Heraklion/Crete in March 2019. 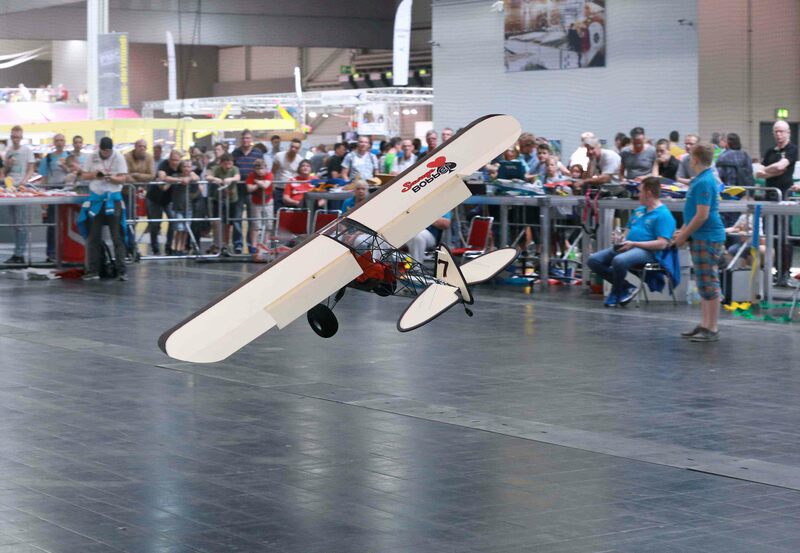 Besides a lecture forum with contributions by various aeromodelling experts, questions concerning the law and insurance aspects will also be answered at INTERMODELLBAU because especially drones and multicopters frequently cause questions concerning current regulations and laws. All visitors can request legal advice from the German DMFV association. There will also be a discussion on the current political developments in Berlin and Brussels. At INTERMODELLBAU, DMFV will also inform visitors about the planned campaigns on the model flying day which will take place in several German cities on 9 June and is a joint initiative of associations, industry, retail trade and clubs. Members of the DMFV association possess a noise measuring device that measures the noise levels that may not be exceeded during a flight. These devices must be calibrated regularly. 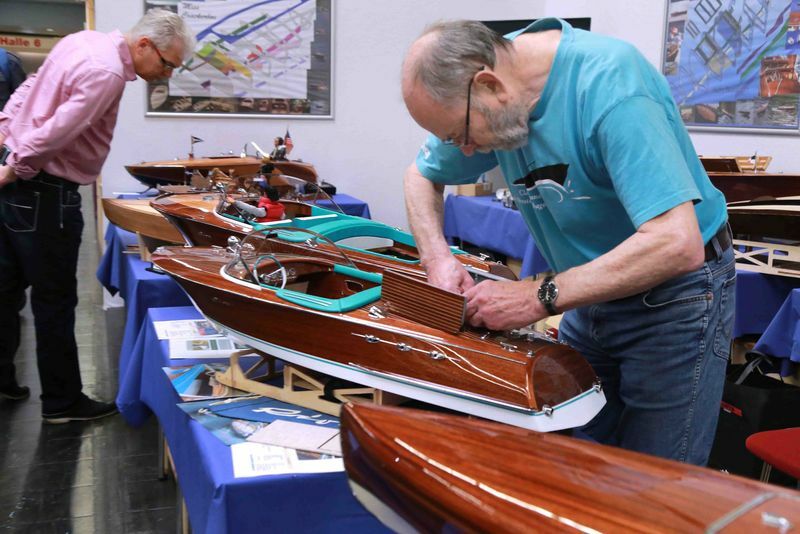 The measurement is offered free of charge at the exhibition and takes only a few minutes. The tested devices then get a ‘tested’ label. 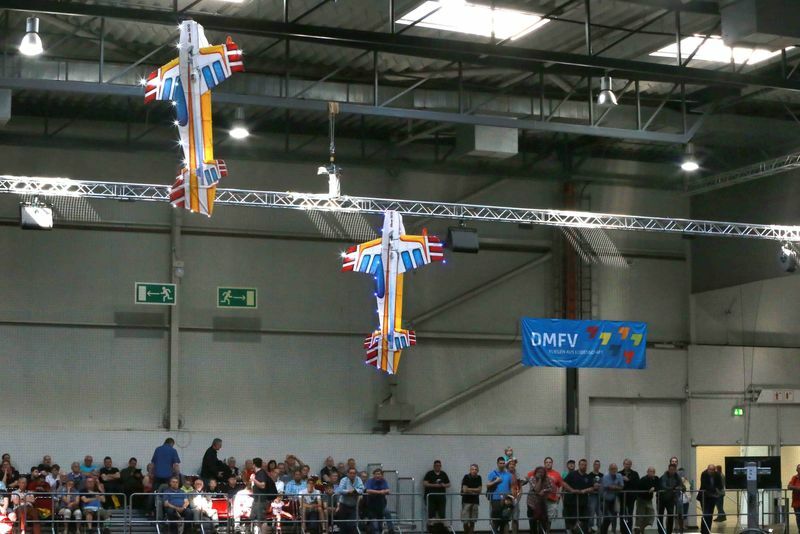 DMFV has initiated the ‘DMFV Gate Racer’ project jointly with the Graupner company. The project involves a competition in which pilots have to fly a self-made rigid-foam model specified by DMFV through a gate as often as possible within a defined time. The pilots compete in the interactive race on a local, regional and national level. That has been made possible by a Facebook Challenge that has been running since December 2018. 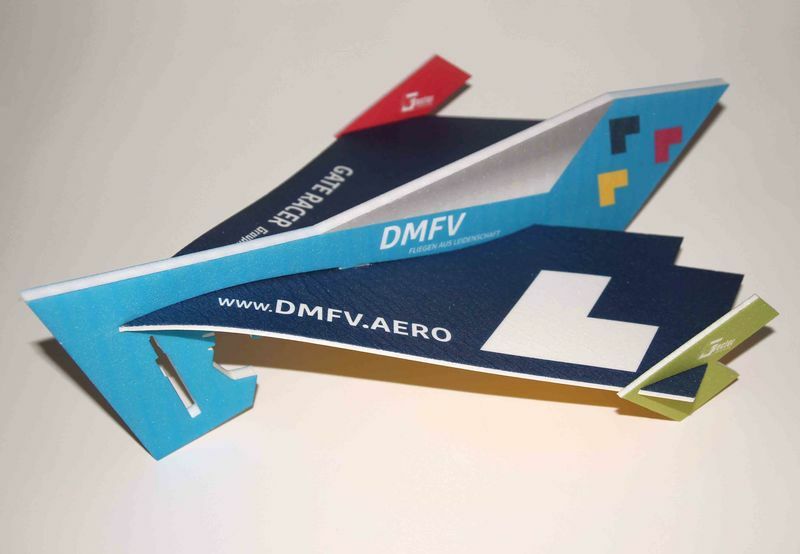 DMFV will present the project at INTERMODELLBAU. At the exhibition stand of the DMFV association, children aged 6 years or over can obtain basic knowledge about aerodynamics jointly with experienced modellers – and even build small model aircrafts themselves.